The upside of new cancer therapies that block vascular endothelial growth factor (VEGF) signaling is that these agents have improved the outlook for patients with some cancers and are now used as a first line therapy for some tumors. However the downside is that almost 100% of patients who take VEGF inhibitors (VEGFIs) develop high blood pressure, and a subset develops severe hypertension. That is the finding of a study done at the Institute of Cardiovascular and Medical Sciences, University of Glasgow. A review article on the research was published in the May 2014 issue of the Canadian Journal of Cardiology. The release explains that angiogenesis inhibitors are a new class of cancer drugs that are designed to prevent the formation of new blood vessels, thereby stopping or slowing the growth or spread of tumors. Angiogenesis requires the binding of signaling molecules, such as VEGF, to receptors on the surface of normal endothelial cells. When VEGF and other endothelial growth factors bind to their receptors on endothelial cells, signals within these cells are initiated that promote the growth and survival of new blood vessels, which are necessary for tumor growth. Angiogenesis inhibitors interfere with various steps in this process. Increased blood pressure has been observed in every trial involving VEGFIs and is the most common cardiovascular complication; it has an associated increased risk of fatal adverse cardiovascular events. According to some studies, VEGFI-induced hypertension is not a side effect of treatment, but rather a mechanism-dependent on-target toxicity. This has led to the concept that hypertension might be indicative of effective VEGF inhibition and a positive antiangiogenic response, and as such could be a biomarker of a favorable outcome from VEGFI treatment. "This further adds to the challenges, because improved cancer responsiveness might thus be associated with potentially greater cardiovascular risk," notes Dr. Touyz. 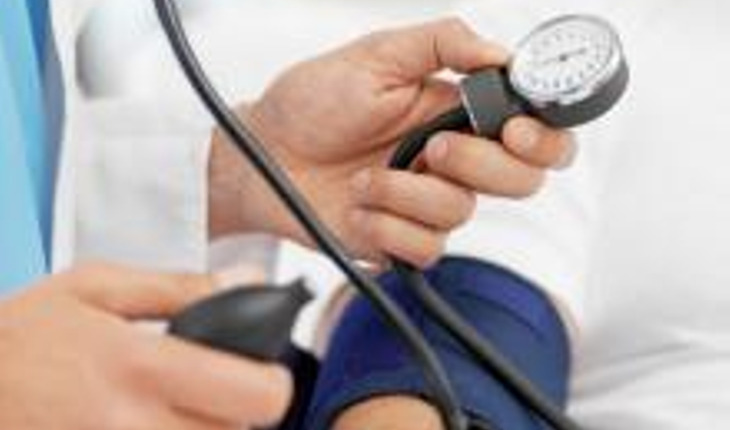 The exact factors that predispose to VEGFI-induced hypertension still remain to be established, say the investigators. However, risk factors that have been associated with VEGFI-induced hypertension include a previous history of hypertension, combination therapy with more than one anti-VEGFI, over 65 years of age, smoking, and possibly high cholesterol. Body mass index, renal function, race, a family history of hypertension, or cardiovascular disease do not seem to predict development of hypertension with VEGFI treatment. The investigators recommend that management of hypertension in patients being treated with VEGFIs should be aimed at reducing the risk of short-term morbidity associated with hypertension while maintaining effective dosing of antiangiogenic therapy for optimal cancer treatment. Specific guidelines are not yet available for the management of VEGFI-induced hypertension, but expert opinion recommends that patients be fully assessed for hypertension and cardiovascular disease before VEGFI treatment, blood pressure is monitored frequently, and hypertension is aggressively treated to target (less than 140/90 mm Hg). Current treatment choices are based on clinical experience, with ACE inhibitors and dihydropyridine calcium channel blockers being the most commonly used antihypertensive drugs in VEGFI-induced hypertension. "As VEGF inhibitors become more widely used and the number of older patients with cardiovascular risk factors and pre-existing hypertension are treated with these drugs, the need to better understand the molecular mechanisms underlying VEGF inhibitor-induced hypertension and the risk factors predisposing to this condition are imperative, so that clear guidelines and improved management can be instituted," concludes Dr.Touyz.